Fox’s 2018-2019 fall primetime lineup doesn’t much resemble last season’s schedule, with the network opting not to renew much of its lineup. (Ghosted just learned its fate and has been officially canceled.) Fox freed up room for Thursday Night Football and for the new shows Last Man Standing, The Cool Kids, and Rel which will premiere this fall. 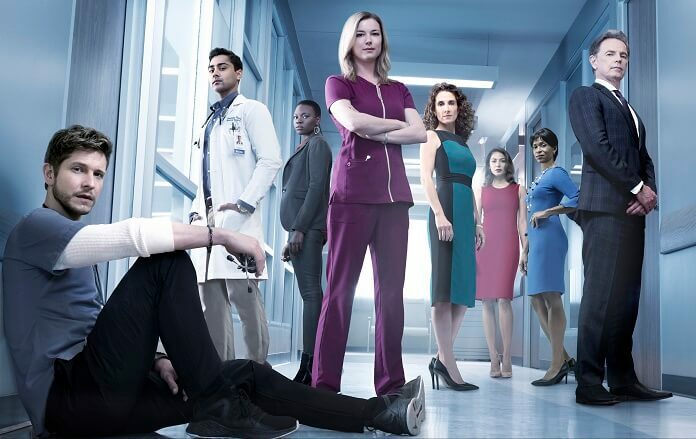 Returning drama 9-1-1 will kick off with a two-night premiere, with part one airing on Sunday, September 23. The second part will air on Monday, September 24 during the show’s regular time period. Multi-camera comedy Rel will make its series debut on Sunday, September 9 at 8pm ET/PT before moving to its regular time slot of 9:30pm ET/PT on September 30. Rel – Inspired by the life of Lil Rel Howery (Get Out), Rel is a multi-camera comedy starring Howery as a recently divorced husband and father who makes a fresh start on the West Side of Chicago, with the help of his best friend and unfiltered sounding board, Brittany (Jess “Hilarious” Moore); his wayward younger brother, Nat (Jordan L. Jones); and his old-school dad (Sinbad). The Cool Kids – From executive producer Charlie Day (It’s Always Sunny in Philadelphia), The Cool Kids is a multi-camera comedy about a rag-tag group of friends living in a retirement community who are willing to break every rule in order to have fun – because, at their age, what do they really have to lose? The series stars four comedy veterans: Tony Award nominee David Alan Grier, Emmy Award nominee Martin Mull, Emmy Award winner Vicki Lawrence, and Emmy Award winner Leslie Jordan. Last Man Standing – Multi-cam comedy Last Man Standing, starring Tim Allen, comes to FOX. A fan-favorite for six seasons, Last Man Standing stars Allen as Mike Baxter, a married father of three girls, who tries to maintain his manliness, despite being surrounded by women. Produced by 20th Century Fox Television, the series also stars Nancy Travis as Vanessa Baxter, Jonathan Adams as Chuck Larabee, Amanda Fuller as Kristin Baxter, Christoph Sanders as Kyle Anderson, Jordan Masterson as Ryan Vogelson, and Hector Elizondo as Ed Alzate.